Charlie Clips, Arsonal, Danny Myers and Chilla Jones are all scheduled to battle at the two-day event in New York City. 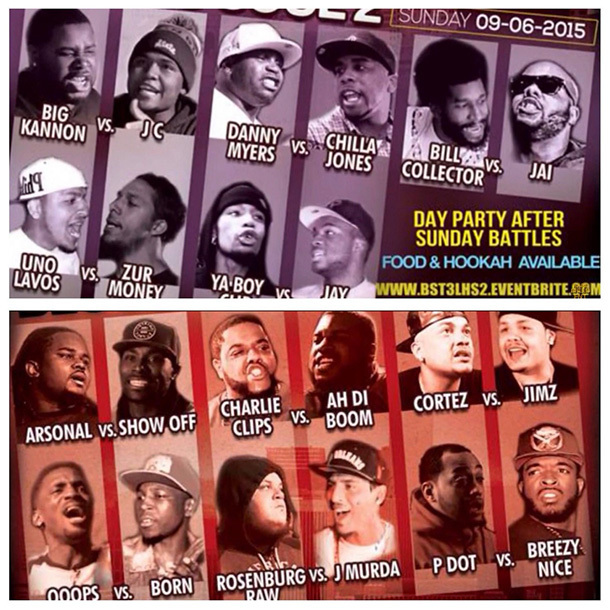 RBE has just let loose the full details for its next major events, set to go down in New York City on Sept. 5-6. The event will take place at Club Purlieu in Queens, New York. The two-day event goes down at Club Purlieu, 36-4 34th Street (Corner Of 36th Ave), Astoria Queens, New York, NY 11106. 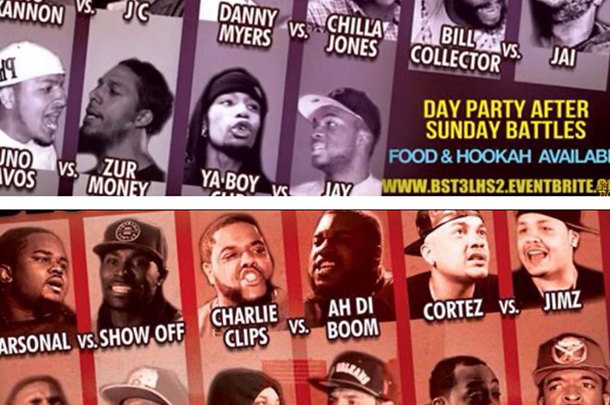 For those unavailable to make it to venue for the event, RapGrid will be providing a live PPV. NEW RBE CARD GETS 5 OUTTA 10 STARS IMO. GOOD BUT NOT GREAT.